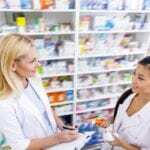 A career as a pharmacy technician is a commitment to helping others thrive. With the right skills and mindset, pharmacy technicians will hold a vital role in the pharmacy. With certification from a national certifying agency, such as the Pharmacy Technician Certification Board, technicians gain the trust and confidence of pharmacists and hold an expanded role in community and instituitional pharmacies. Common duties include inputting customer data into the computer, customer interaction, filling and labeling prescription containers, receiving and confirming prescriptions, billing and insurance, managing inventory, answering customer queries or referring them to the pharmacist, and operating the cash register. In their expanded role, a technician might prepare special creams and ointments, prepare IV solutions and antibiotic infusions, and management of administrative functions. Whether performing routine or advanced tasks, technicians must have people skills and be attentive to details. Pharmacy technician programs include knowledge-based modules and practical training opportunities to prepare students for this important role. The pharmacy technician program at Baldy View ROP provides students with the theory and practical training to work in a pharmacy environment. The curriculum includes instruction in the classroom as well as a clinical externship that will support real-life training. During the externship, students will prepare and dispense medications, monitor inventory, and update patient profiles under the supervision of a registered pharmacist. Course topics include pharmacology, pharmacy calculations, human anatomy and physiology, sterile compounding, community pharmacy operations, institutional pharmacy operations, and inventory management. Submit to a drug test – admitted twice during the program. Tuition costs $4,948. Books and supplies cost an additional $302. 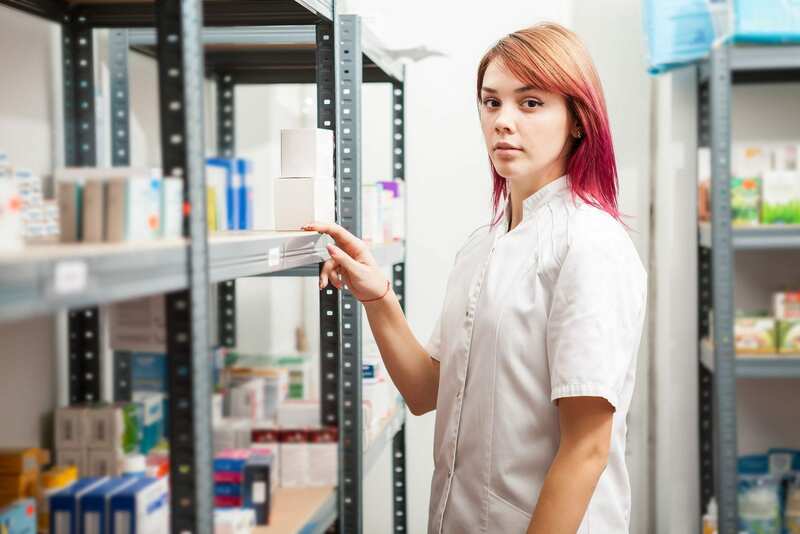 The American Career College Pharmacy Technician program trains students to work with licensed pharmacists to update patient inventory, prepare, label, and dispense prescriptions, and rotate inventory. The curriculum includes theory and practical instruction for students to gain an understanding of the role and responsibilities of a pharmacy technician, identify trade and generic drug names and classify drugs, practice within the guidelines of pharmacy law, perform dosage calculations, and understand medical and pharmaceutical terminology, including the abbreviations used is prescribing, charting, and dispensing. Course topics include pharmacy law, drug fundamentals, pharmacology, drug distribution, IV preparation, and retail pharmacy. During the externship, students will complete 300 hours of practice under the direct supervision of licensed personnel and will have the opportunity to reinforce the knowledge and skills gained in the classroom. The entire program is 1185.5 hours of instruction that may be completed in 36 weeks or 28 weeks with the accelerated option. Complete the enrollment agreement. Applicants under 18 must have a parent of guardian sign the agreement. Obtain criminal background clearance at the time of enrollment. Demonstrate math proficiency. An admissions representation will set up an evaluation. Provide a copy of high school diploma or GED and 2 sets of official transcripts. Tuition costs $17,200. Books and supplies cost an additional $1,325. SJVC prepares Pharmacy Technology students to work under the supervision of a registered pharmacist. The schools offers a certificate and associate degree option. The duration of the certificate program is 7 months and the associate degree requires approximately 14 months for completion. Experienced instructors cover classroom and lab training followed by an extern component, which gives students the opportunity to use their skills in a real-world setting. At the conclusion of the program, students will be able to practice within the legal limits of the law, use medical terminology, read, interpret, transcribe and troubleshoot prescriptions, demonstrate good social and communication skills and maintain a professional attitude and appearance, and apply ethical principles in the profession. Students will qualify to take the PTCE and will also earn HIPAA Certification. Course modules include pharmacy law and ethics, pharmacy science and applications, pharmaceutical laboratory applications, anatomy, physiology and pharmacology, pharmacy math and computations, professional development, pharmacy business simulations and computer application. A clinical experience and externship seminar in addition to the general education course requirements will round out the program. Tuition for the certificate program is $17,125. Tuition and fees for the associate degree program is $32,800. UEI prepares pharmacy technician students with the skills to function in their role as an assistant to a pharmacist. Students acquire the skills that they’ll use every day on the job. The program covers nine modules in 36 instructional weeks. The first eight modules are 80 hour each and take place in the classroom and lab environment. Upon completion of these modules, students will be ready for the externship comprising of 120 hours of practical work in a real-world pharmacy. There are 760 clock hours covered in the program. Course modules include sterile preparations, internal medicine, pharmacy law, pharmacology and compounding, hospital pharmacy procedures, retail pharmacy operations, retail pharmacy procedures, health insurance and billing, and externship. Tuition for the program costs $19,500.